Our modern societies are increasingly urbanised. Today, more than 50 per cent of the world’s population live in urban areas, a number which is expected to rise significantly in the near future. Cities are important drivers of economic growth, but they also represent challenges that policy-makers need to handle. 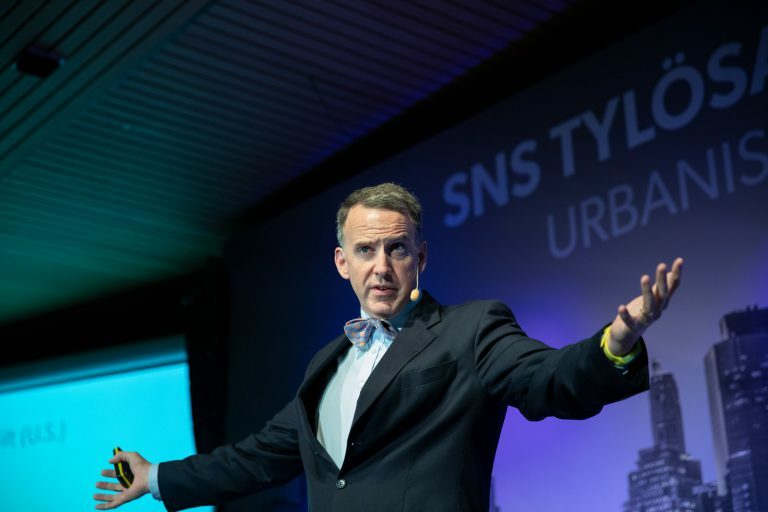 These challenges, as well as the opportunities that cities represent, were discussed at the SNS Tylösand Summit 2018. The session began with a keynote speech by Edward Glaeser, Fred and Eleanor Glimp Professor of Economics at Harvard University and one of our time’s most renowned economists within the field of urbanisation studies. His 2011 book The Triumph of the City received critical acclaim and fame well outside of academia and thus reinforced his position as one of the world’s most influential thinkers on urbanisation. Glaeser often refers to cities as the greatest invention of our time, as they are the central drivers of economic growth in the world of today. He began his speech by offering a definition of cities that captures the focus of his research on urbanisation. According to him, cities are “the absence of physical space between people”. In other words, cities are made up of their inhabitants rather than by the buildings and the infrastructure that make the wheels turn. In Glaeser’s view, it is the “economic magic of human interaction” that drives growth in cities. However, the same population density that enables interaction also comes with a set of challenges. Glaeser refers to these challenges – for example crime and poverty – as “demons of density”. These challenges need to be addressed by policy-makers in order to reap the benefits of urbanisation while keeping the standard of living of cities at a satisfying level. A panel of policy-makers and academics were invited to comment on Glaeser’s research in a Swedish context. Mikael Damberg, Minister for Enterprise and Innovation, mentioned Stockholm’s position as an important start-up hub in Europe, but also highlighted the challenges of segregation that Swedish cities face. He stressed the importance of making cities work for a diversity of people, as well as making sure that economic growth and hopes for the future produced and generated in urban areas benefit the entire population, including more rural areas of Sweden. Charlotta Mellander, Professor of Economics at Jönköping International Business School, zoomed out from the city-focus as she highlighted the importance of not letting rural areas fall too much behind. She also stressed that urbanisation to a large extent has been driven by the “export” of young individuals from rural areas to cities, but that these rural areas do not get a significant proportion of the wealth cities create in compensation. Karolina Skog, Minister for the Environment with a special responsibility for urban development, highlighted two major challenges in Swedish cities: transportation and climate change. According to her, most Swedish cities are constructed to make car transportation as convenient as possible. In Skog’s opinion, this is something that needs to be addressed if Swedish cities are to become greener and more climate-friendly. The American Dream is fading away. Children in the U.S. who are entering the labour market today are much less likely to earn more than their parents did relative to children born in the middle of the 20th century. However, there is substantial variation in children’s prospects of upward mobility across different regions and neighbourhoods of the United States. The local environment in which children grow up plays a key role in determining their life chances. 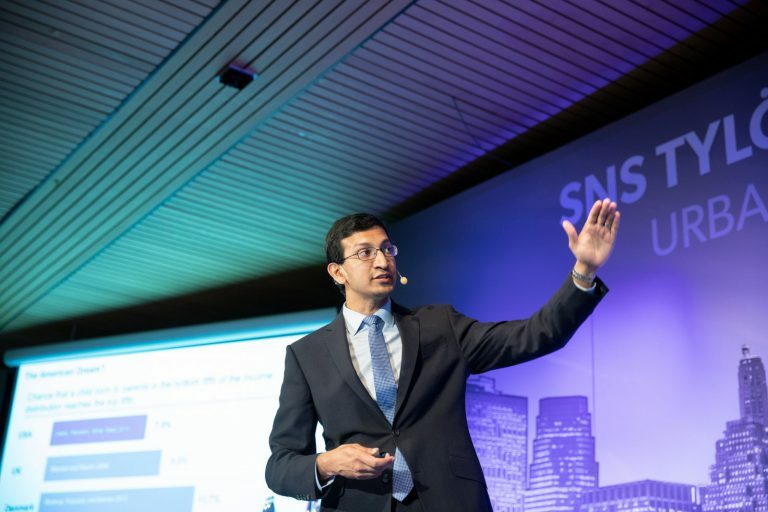 Raj Chetty, William A. Ackman Professor of Economics at Harvard University, spoke about these issues at the SNS Tylösand Summit 2018. Raj Chetty has been named one of the top economists in the world by the New York Times and The Economist. He specialises in public economics in general, and equality of opportunity and social mobility specifically. Research and policy concerning urbanisation and cities typically focuses on indicators of labour market productivity such as job growth. Chetty’s work instead focuses on the role that cities play in the production of human capital – where do highly productive and successful individuals come from, and how can we give more children chances of rising up the social ranks? Chetty shows that the economic activity associated with cities does not necessarily go hand in hand with development of human capital. Even if an urban area is productive economically – as is the case in cities in the south-eastern U.S. such as Atlanta and Charlotte – it does not necessarily follow that the children from that area will reap the benefits in terms of upward social mobility. Instead, workers from other parts of the country may move in to the city and get the high-paying jobs that it offers. Hence, it is important for cities to focus on human capital development independently of simply creating greater job growth. In order to understand how to improve opportunity for children within cities, it is important to recognise that differences in social mobility not only exist at a regional level across the country, but also within cities. Chetty’s research demonstrates that the neighbourhood and the environment in which kids grow up are among the most important factors affecting social mobility. The research also shows that the age at which an individual moves from an area characterised by low upward mobility to one characterised by high upward mobility affects the chances of moving upwards in terms of income. The earlier one moves, the higher are the chances of moving up the ladder of society. While moving kids from low upward mobility areas to high upward mobility areas might be an effective way of increasing social mobility, this solution has some inherent limitations in terms of scalability. One cannot move everyone from a low upward mobility area to high upward mobility areas without affecting the nature of the areas themselves. Instead, a more long-term sustainable solution is to turn low upward mobility areas in to high upward mobility areas, or at least to move them in that direction. High upward mobility areas are characterised by better integration of ethnic groups, a larger middle class, more stable family structures, greater so-called social capital and higher quality of education. Low upward mobility areas represent a mirror-image of this. Thus, one big step in improving social mobility may be to address issues of segregation. Neighbourhoods do not necessarily have the same effect on all subgroups; an area that is good for one group may not be good for another. In the case of the U.S., the most important example of such differences is in the context of race. For example, black men are, on average, likely to earn significantly less than white men from the same neighbourhood. Interestingly, however, the same is not true for black women, who are in fact likely to earn slightly more than white women from the same neighbourhood. Chetty’s research shows that the differences between the sexes in racial disparities can be partly attributed to mass incarceration that leads to an absence of fathers in many black families and to factors such as racial bias. Finally, it is important to note that social mobility is not only a matter of social justice. In fact, improving social mobility can help an economy to utilise its human capital more efficiently. Chetty’s research shows that talented children – by measure of their score on a 3rd grade maths test – are much more likely to become inventors if they come from a high-income family. In other words, a lot of potentially economically productive talent is wasted when social mobility is low. Hence, equality of opportunity – a fundamental concept on which the American and many other Western democracies are built – also matters for economic growth. Increasing urbanisation goes together with increasing inequality. 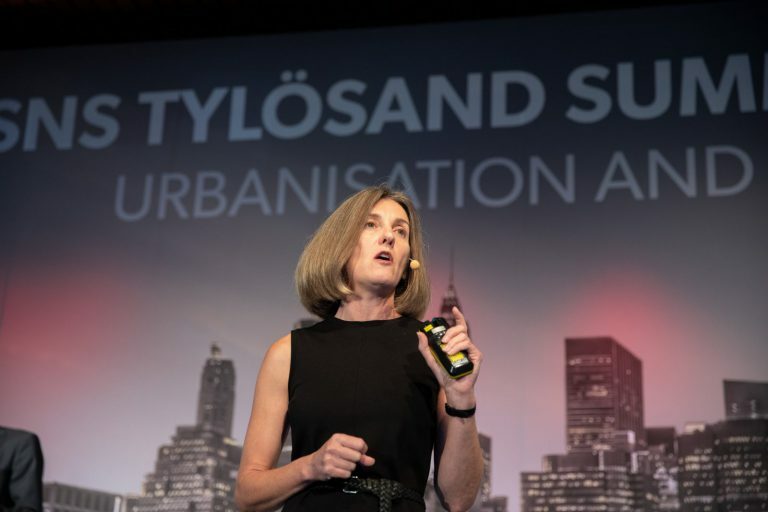 At the 2018 SNS Tylösand Summit Fran Tonkiss, Professor of Sociology at London School of Economics, spoke about inequalities in urban areas and what can be done to address the challenges that these represent. A panel of experts and politicians gave their perspective on the issue. The mega-trend of urbanisation has many virtues. It fosters innovation, prosperity and human interaction. However, it is often accompanied by a rise of inequalities as well. Fran Tonkiss specialises in the field of urban and economic sociology and has studied the effects of growing inequalities in cities. Inequalities and segregation in European cities are generally smaller in size than in the developing part of the world, but they nevertheless exist. Segregation is a term often associated with areas characterised by poverty and minority populations. However, Tonkiss argues that the term can, and should, be used to describe all segments of society. In Stockholm, the wealthiest are in fact more segregated than the poorest. Why are segregation and inequality problematic? According to Tonkiss, inequality is economically inefficient, as it leads to a suboptimal use of human capital. Further, she argues that it is also socially unsustainable. If certain parts of a given society are constantly dissatisfied with the present situation, polarisation and conflict are more likely to arise. One example of when such tensions surfaced, brought up by Tonkiss, is the 2011 London riots. Tonkiss’ speech was followed by comments from a panel consisting of Christer Larsson, Director of City Planning, City of Malmö, Ahmed Abdirahman, Founder of Järvaveckan and The Global Village, and Anna König Jerlmyr, The Opposition’s Vice Mayor, City of Stockholm. Larsson spoke about his experiences of dealing with issues of inequality and segregation in Malmö. One valuable insight from this is how a city can be designed and planned to make its inhabitants visit neighbourhoods that they would have otherwise never gone to, thereby encouraging integration. As an example of this he brought up a public swimming area in one of the poorest neighbourhoods of Malmö. This public space is designed to be attractive enough for all citizens of Malmö to visit, which ideally leads to more interaction between the different socioeconomic groups of the city. Abdirahman commented on Tonkiss’s remark on segregation among the wealthiest, as he stressed that the people of the poorest areas have not actively chosen to live in segregation. One way to decrease inequality and segregation is to encourage the middle class to move to these areas. However, better security and better schools need to be provided if that is to happen, according to Abdirahman. On a similar note, Anna König Jerlmyr spoke about the importance of attracting entrepreneurs and small business owners to these areas in order to create a livelier and more vibrant environment. She also stressed the importance of increasing the presence and visibility of the police in Stockholm in general, and in the poorest areas in particular. What role do cities play in fostering innovation and entrepreneurship? Social interaction and the formation of networks, which are both central elements of the modern city, are key to understanding the rise and spread of innovative ideas. 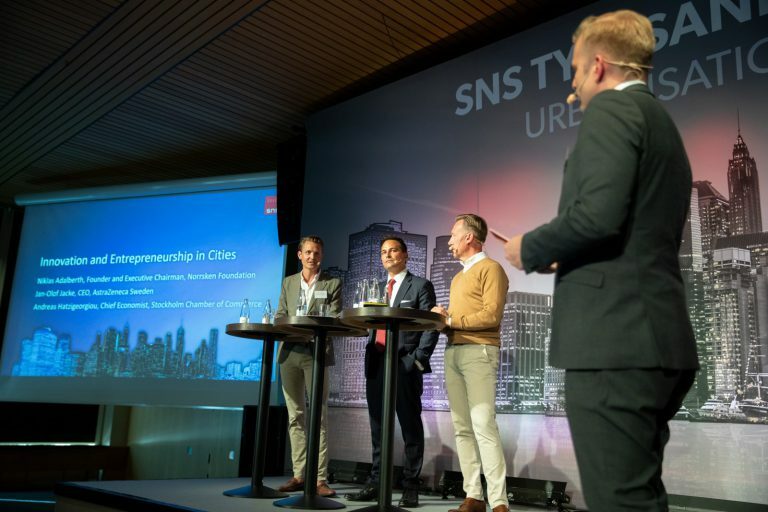 The last session of the 2018 SNS Tylösand Summit covered innovation and entrepreneurship in Swedish cities. The session consisted of a panel discussion where Niklas Adalberth, Founder of Klarna as well as Founder and Executive Chairman of Norrsken Foundation, Jan-Olof Jacke, CEO of AstraZeneca Sweden as well as incoming CEO of the Confederation of Swedish Enterprise, and Andreas Hatzigeorgiou, Chief Economist and incoming CEO of the Stockholm Chamber of Commerce, offered their perspectives and insights on the Swedish start-up scene. Hatzigeorgiou started by praising Stockholm’s position as the best region next to Silicon Valley in terms of producing so-called unicorns – i.e. privately held start-up companies valued at over USD 1 billion – in recent years. He proceeded to talk about the fact that middle-weight cities, such as Stockholm, as opposed to mega cities such as Beijing or Los Angeles, will be increasingly important as drivers of growth and innovation in the future. He, however, also argued that policy-makers need to de-regulate the housing market and sections of the labour market if the city is to truly reach its potential as a city of innovation and entrepreneurship. Adalberth stressed the importance of networks and eco-systems of innovation in cities, which enable access to talent and capital. He praised the development of Stockholm in the last 10–15 years, which he argued has helped in producing unicorns such as Klarna, which Adalberth co-funded, as well as Spotify and Skype. He further argued that these types of companies are vital as role models for young entrepreneurs. Jacke discussed an initiative that AstraZeneca has undertaken to promote innovation within the bio-tech sector. The initiative meant that start-ups and entrepreneurs got access to parts of AstraZeneca’s resources and data. Jacke described that sceptics were initially worried that this initiative would increase competition and ultimately cause harm to the company. However, so far the result has rather been a creation of an entrepreneurial network where innovative ideas are generated and where the actors involved learn from each other, including AstraZeneca itself.